I was looking for some gifts today and stumbled upon these beautiful Swarovski pens. 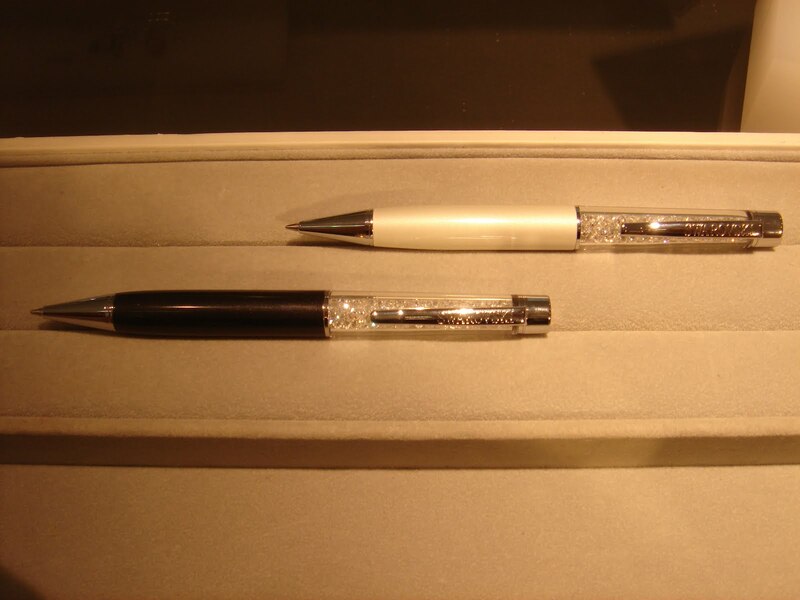 These would make a lovely gift for someone’s birthday, maybe a thank you gift for your wedding entourage, or maybe even just for yourself – for those important documents to sign or just a very special pen to use everyday. 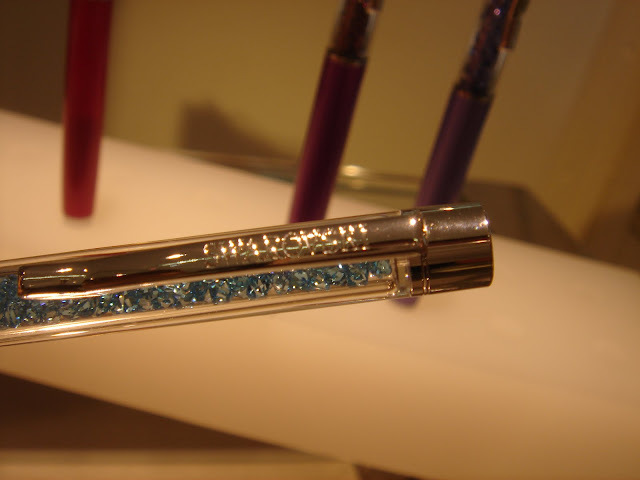 The Swarovski Crystalline Ballpoint Pen's body is filled with 160 sparkling crystals and comes with Swarovski's stylish blue velvet pouch. 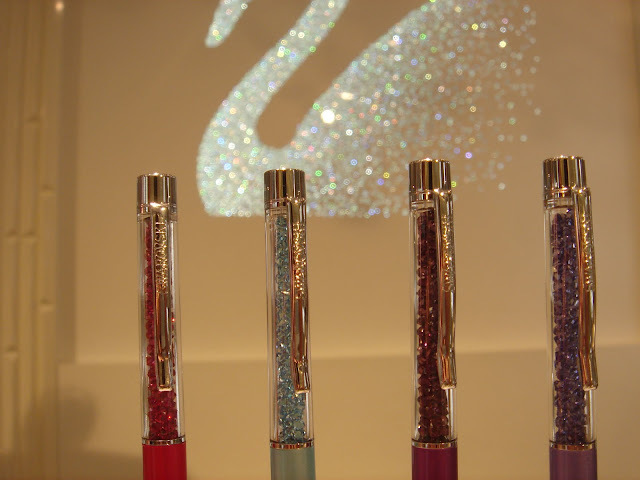 It retails for PHP 1,850 and the refill (available only at Swarovski) retails for PHP 64.50. 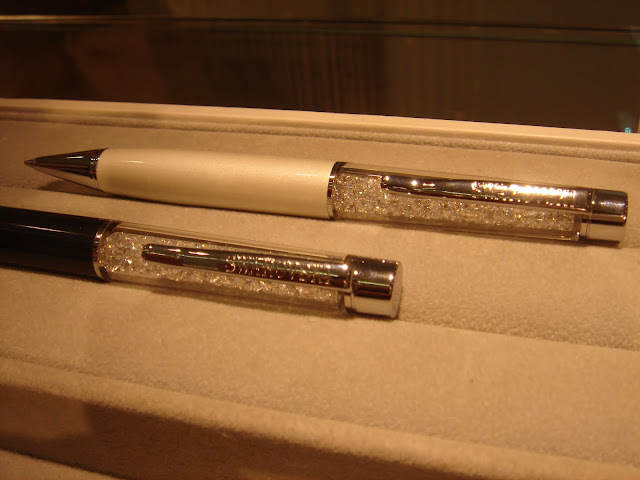 The Swarovski Crystalline Ballpoint USB Pens on the other hand is a unique writing tool, it has both a ballpoint pen and a USB key. 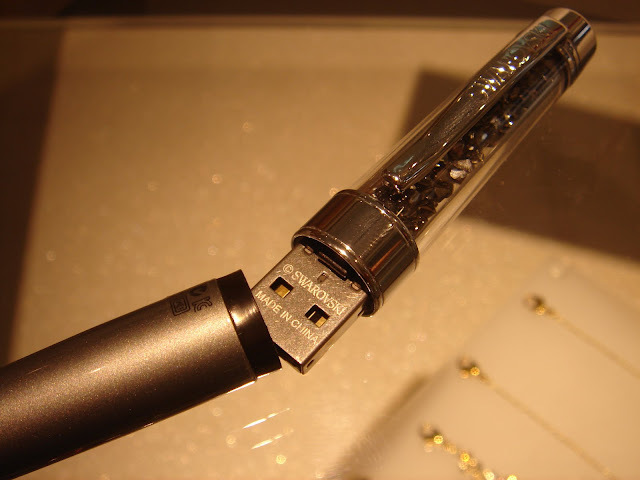 The pen opens in the middle to reveal a 4GB USB key and the body is filled with 200 sparkling clear crystals. 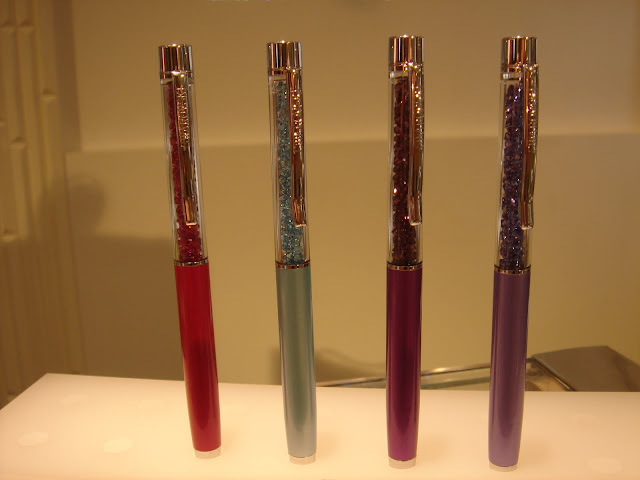 It retails for PHP 4,950 and the refill (available only at Swarovski) retails for PHP 64.50. The Crystalline Ballpoint Pen and the Crystalline Ballpoint USB Pen are both available at Swarovski Rustan's Makati, Ayala Avenue, Makati City. For inquiries, call (+63-2) 815-1901.